Before the action starts, Peter Parker dates his date to see Star Trek. 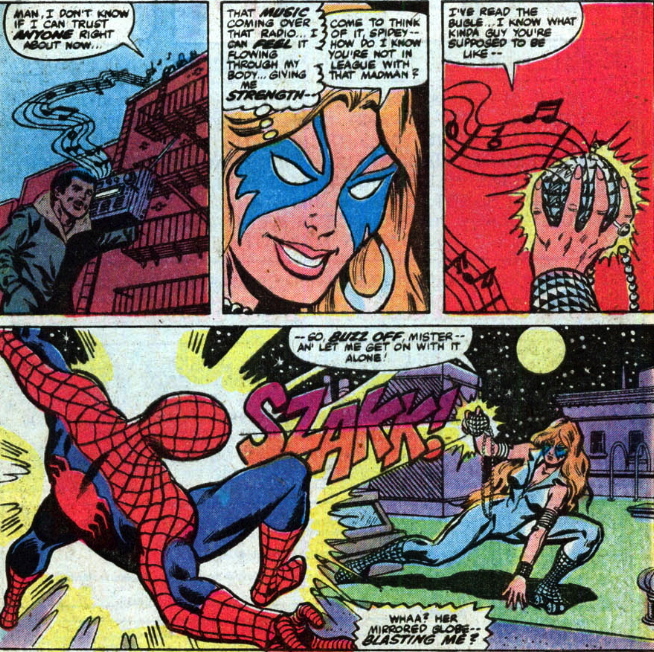 I totally forgot that early Dazzler used a disco-ball weapon. After they fight each other and figure out they’re not supposed to fight each other (a Marvel Team-Up tradition, even though this isn’t an issue of MTU), they go after Lightmaster. And it ends with a nice burn for JJJ.